There's dreadful news from the symphony hall-the composer is dead! 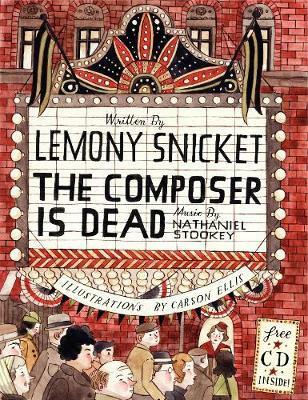 A collaboration between Daniel Handler and composer Nat Stookey, with a CD of Lemony Snicket narrating the story, accompanied by the San Francisco Symphony. A murder-mystery, in the style of "Peter & The Wolf", introducing kids to the orchestra. Ages: 5+.